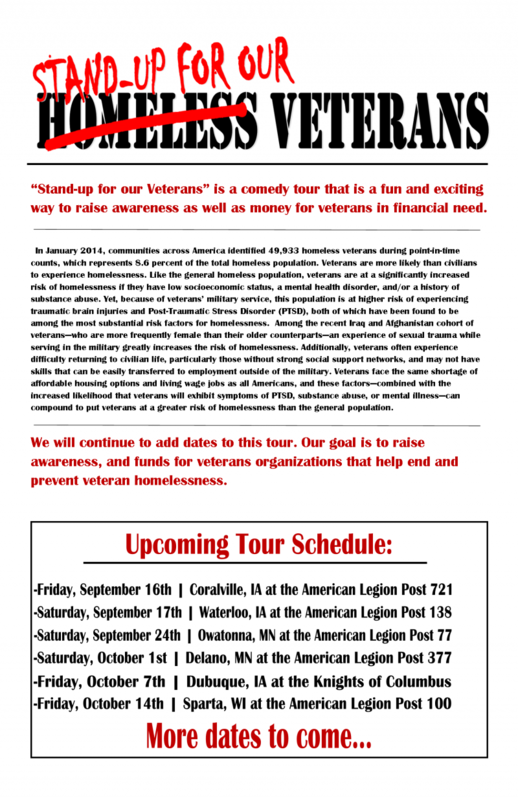 Kevin Cahak - "Stand up for our Veterans Tour"
"Stand up for our Veterans Tour"
"Stand-up for our Veterans" is a comedy tour that is raising awareness and funds for veterans in need. We work with local veterans assistance organizations. $15 per person- $5 of each ticket goes to a local veterans assistance organization. "Laid back, relaxed and mellow is the best way to describe Kevin. His stories from his life will entertain as well as relate to any audience. Kevin made his national TV debut on Showtime in Pauly Shore's documentary "Pauly Shore Stands Alone" Kevin tours all over the country performing at comedy clubs, corporate events, casinos, and even county fairs with some of the best and brightest comedians from across the nation. Luke is a big, lovable guy. His comedy comes from the heart that any group will enjoy. 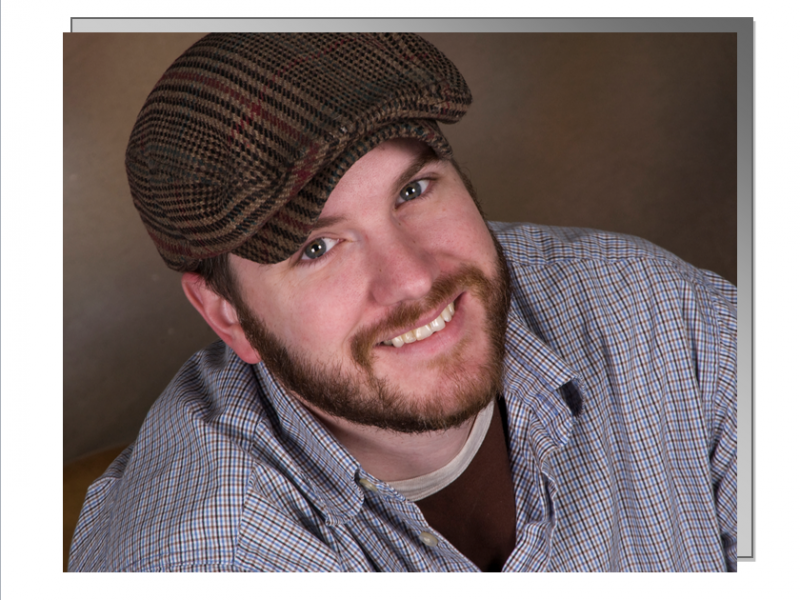 In his short comedy career he has performed at countless comedy clubs through out the Midwest. Luke is a comedian that you won't want to miss. Luke is also a dedicated case manager who currently works in St. Paul, MN with veterans in need. 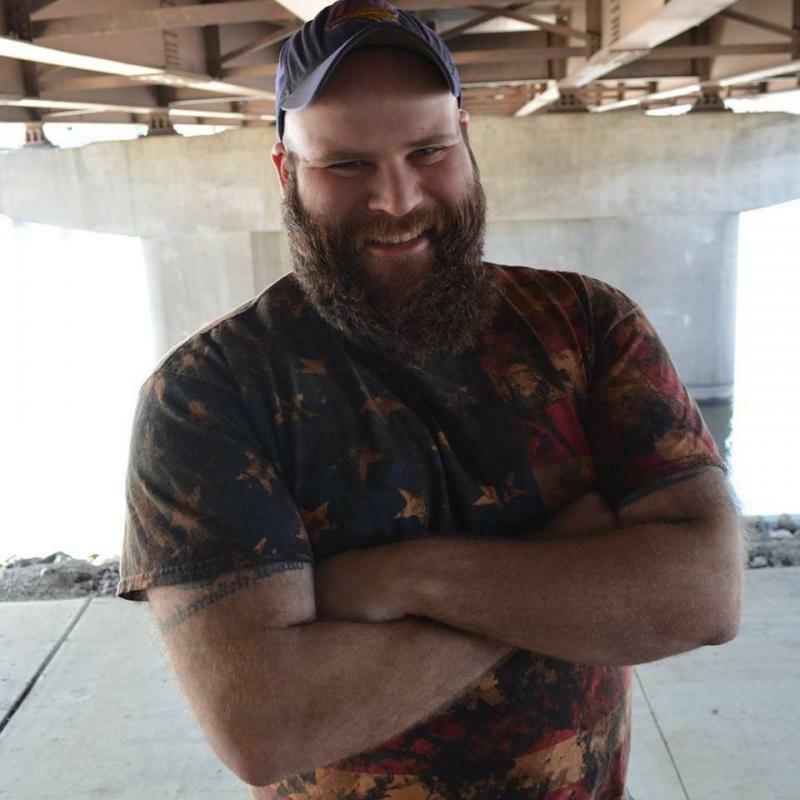 He has been helping veterans that are at risk of being homeless with employment assistance, vehicle repairs, helping with utility bills as well as housing. ﻿He also served in the Army with the 25th ID from 2009 to 2013 and was deployed to Afghanistan as a combat medic in 2011-12.